NEW YORK, N.Y.- Persistent Systems, LLC (“Persistent”) announced today that the MPU5 mobile ad hoc networking (MANET) radio received a Level 2 Federal Information Processing Standards (FIPS) 140-2 security validation from the National Institute of Standards and Technology. Users in defense, government, public safety, healthcare, and other industries with a requirement of FIPS 140-2 Level 2 can now make greater use of the MPU5 radio. 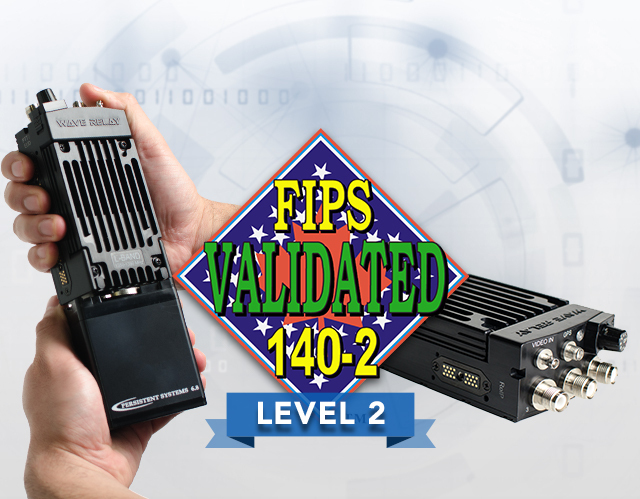 In May, the radio received a Level 1 FIPS 140-2 validation. This meant that agencies that already used the Persistent MANET radio could also use it to connect to their enterprise networks. The FIPS 140-2 Level 2 validation incorporates the Level 1 cryptographic data security requirement with the additional requirement of physical security mechanisms, such as tamper-evidence. Now the MPU5 could be used for even more sensitive data transmission applications. Persistent has a long history of achieving security validations for past products. Our heritage products such as the MPU3, MPU4, and Quad Radio Router, were all FIPS 140-2 Level 2 validated. And our MPU5 continues this legacy of information assurance validations.